Many higher education standards require the use of active learning. So, it seems appropriate to include a discussion of active learning in any “teaching” experience or development program such as an academic training experience. I was having a conversation with a student regarding active learning for just this very purpose. She was completing an academic experience. The discussion began with a personal reflection on learning style. From there, I asked which learning experiences were the most successful for this student and why. Was this active learning? While there is a lack of consensus on what active learning is, I think that many would suggest that active learning involves cognitive processes above simple recall. Whether physical activities are required is a matter of debate. There is a long list of strategies and activities that may be implemented as active learning. I asked my student what her expectations for this discussion had been. It was insightful that she expected to discuss a long list of activities. However, we actually focused our discussion on reasons to use active learning? Purpose, meaning, and intention. Having those in mind will facilitate learning to the end that you intend rather than simply being busy work. How have you seen active learning strategies change your students’ learning? What is one thing that you would recommend to others who are considering a shift to more active learning? Oyler DR, Romanelli F, Piascik P, Cain J. Practical Insights for the Pharmacist Educator on Student Engagement. Am J Pharm Educ. 2016; 80(8): Article 143. Michael J. Where’s the evidence that active learning works? Adv Physiol Educ. 2006. 30: 159-167. I was thinking about syllabi. All faculty at some point have to put one together for their courses and post for students to access. These documents may include policies and procedures for the course. This might seek to communicate when, where, why, what, who for the course. The primary audience are the students enrolled in this class. As a document that seeks to communicate to students many different facets of a course, it seems that little has looked at the effects of these documents. For example, I have seen instructors BOLD “important” and serious information such as expected behaviors. What does this communicate to the students? How does this shape the student-teacher relationship? How does it impact the learning environment? I particularly like to “teach” the syllabus to students at orientation. My experience or perception, rather, has been that students would not lay eyes on this document otherwise. However, I had not ever considered the influence of the syllabus on students. I assumed that it communicated professional attitudes and that student behavior would fall in line with those expectations. But, is there any published data regarding the effects of syllabi? Very little has been done in this area as far as I can tell after conducting a brief search of Pubmed, ERIC, and google. Most suggest that the syllabus content, style, and tone can have important effects on student-teacher interactions. These include initial impressions of instructor, approachability of instructor, classroom behavior, and student performance possibly. As I reflect on this, I wonder how much the syllabus tone influences students evaluations of the teacher. The study by Harnish suggests that there could be an effect. The next time you read through your syllabi, think about what are you trying to convey? This is a challenging topic when one considers that there may be two purposes for a syllabus – one from the teacher perspective and one from the student perspective. In discussion with colleagues, some see a syllabus as a contract. In this case, one would expect a syllabus to read like a “legal” document. However, one could also take the posture that communicating to students course expectations with “how” that is communicated might be more important. Next time, you are reviewing or creating a syllabus consider how you are communicating to students as well as what you want to communicate. Bies-Hernandez NJ. The effects of framing grades on student learning and preferences. Teach Psychol. 2012; 39(3): 176-180. Harnish RJ, Bridges KR. Effect of syllabus tone: students’ perceptions off instructor and course. Soc Pscyhol Educ. 2011; 14: 319-330. Perrine RM, Lisle J, Tucker DL. Effects of syllabus offer of help, student age, and class size on college students’ willingness to seek support form faculty. J Exp Educ. 1995; 64(1): 41-52. I am currently reading a book evaluating the teaching philosophy of constructivism. At its roots in history, constructivism seems to have been born out of a postmodern view of the world. 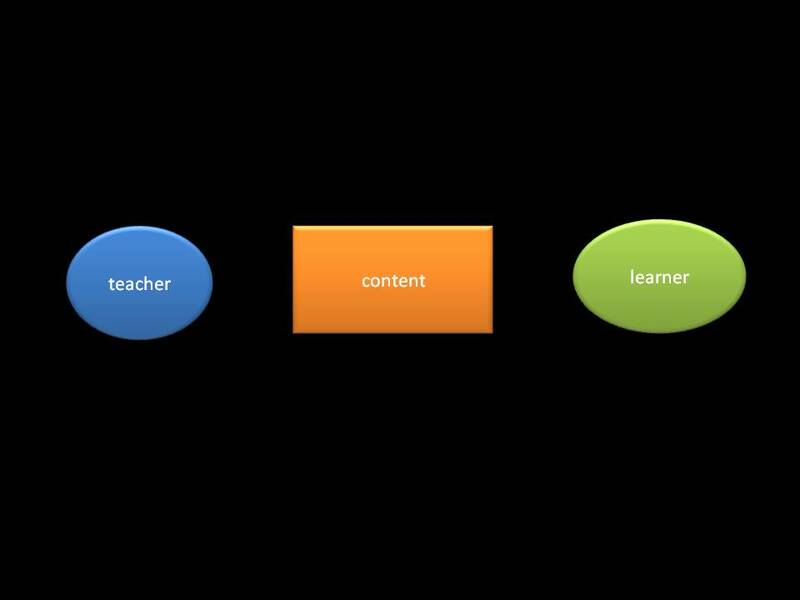 The content is not the center of learning, the learner is. This seems to be very acceptable to most on the surface. A quick look at the educational literature will verify this. (Keyword search: learner centered). The main question should be how to individualize the approach not the content. For, taken to its extreme, individualizing the content means relativism and where then would we find truth. The answer in the postmodern perspective is that truth is relative and subjective not objective. Unfortunately, that statement is self-contradictory. I cannot say that truth is subjective without that statement somehow being inherently objective – that is repeatable and observable. It is true, however, that subjective perspective is a part of a greater truth. How does this impact education? In what ways, does your educational approach or system reflect what you believe or how you see the world? Years ago, I remember seeing a book on courage and teaching. I didn’t think much of it at the time. However, as I reflect back on my teaching experiences, I can see how this book might be an encouragement. The first time I walked into the classroom, there was a mix of emotions. This is it! I am a teacher. I am going to give a presentation that will not only wow my students but will instantaneously make them knowledgeable. Apart from the hours of preparation and the naive expectations, I might have succeeded if it were not for the simple fact that a class of students and a culture of passive learning need to be engaged. There are some tough groups of students to reach and teach. I say reach because students require a connection on some level. Without that, “teaching” may only get you so far. Anyways back to the point at hand, I had not realized early in my career what a mob mentality a class of people could have. The more work I put in and demand from students, the more little mistakes seemed to magnify distress. One seemingly contradictory point or confusion on the part of a class and the wolves will smell blood. This is an intimidating environment. We’re imperfect people. We’ll make a mistake or two in our careers. Here’s a few things that I have kept in mind to try to mitigate the feeding frenzy. – Prepare but don’t over prepare: This allows space for students to wow you with their questions and challenge you to learn also. – Set a proper attitude: one of my residency mentors said it this way “Don’t let perfect be the enemy of good.” Sometimes, we can be our own worst enemy. – Be patient: Communication with one individual is complex enough. Multiple those challenges by the number of students you have in the classroom. – Keep the conversation going until you have clarity: Most curricula are so jam packed that dialog is not possible. Our culture does not value margin. But, if we don’t ask questions of the students, how are we to know if we are truly being effective? We all know the metrics and measures that are used have significant limitations. More could and probably will be said on this in future posts. But, as you engage your classes, take courage. I think that any discussion on teaching and learning should explore the relationship between three key elements: the teacher, the content, and the learner. Exploring the relationship between each of these elements provides a conceptual framework for the scholarship of teaching and learning. Let’s take for example an investigation into “active learning”. Depending on which of the three relationships you are examining, you might choose classroom techniques as the object of inquiry. Is this a scrutiny of teacher-content or content-learner or teacher-learner relationship? In reflecting on this question, one might conclude that all three may be involved in this hypothesis testing. However, a study would be designed much differently if the research question were focusing on the teacher-content relationship versus the content-learner relationship. In future posts, I will muse over these relationships in more depth. As I reflect on ways that students are hearing I turn to student evaluations, individual conversations with students, and published materials on learning for data to base my evaluation. I think that a central topic is student attitudes. Attitudes are reflections of the heart. And attitudes can be very influential in our behaviors. Below are some “student types” described by Mann. It is interesting to note that in each description, the instructor is encouraged to use relationship to dissuade classroom incivility and improve student performance. The author notes also that this could represent stages of learner development which might imply that learners at different stages might be equipped differently to hear effectively. Mastering the techniques of teaching. Joseph Lowman. 2nd edition. (C) 1995. John Wiley & Sons, Inc. I was reading a short book title “Take Care How You Listen”. Author, John Piper, reflects on the meaning of the Parable of the Sower. He describes the main point of the parable “how to listen to preaching”. However, I think there is some application here to teaching and learning. With what heart do you think your students listen with? How do you think that this might influence their learning? As a teacher, what could you do to mitigate this learning obstacle?